Counter Strike I first started playing in 2002. After that I played LAN with friends but nothing serious, way more fun. Subsequently, in early 2008 I began to understand the purpose of games, that is the essence and I really really liked. In 2010 I began the first serious LAN play, to practice and play online matches. 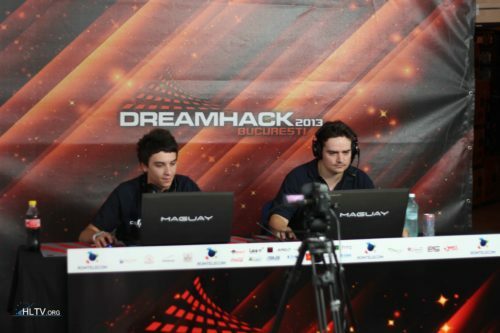 The first team was called KVG.The first LAN tournament that I played took place in 2010 in Beograd.Then in 2013 I switched on Counter Strike Global Offensive and start to play in Mzone.eu who was our sponsor, we had a lot of success at the KGB vol 1 tournament we are finish on 3rd place.I realized that Counter Strike is a game that gives you a good time, with which you can meet many new people, learn to think and to get good friends. So, I thank all my friends who were always there as teammates, as well as friends. hahahahahah KNIFE! What a map omfg! Im just post this to show how fnatic have fun on FINAL dreamhack.... sry for bad english.